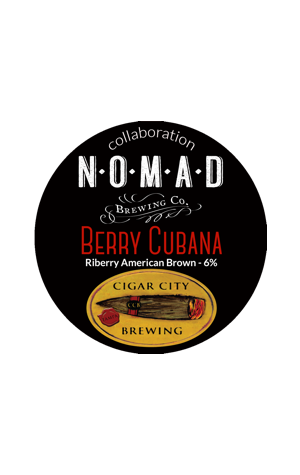 Another collaboration with a friend from America for Nomad, this one saw Wayne Wambles from Tampa's highly-rated Cigar City call in to the Northern Beaches. Together, they set about creating a dark brown ale loaded with "tasty caramel, toffee and a slight hint of roasted malts". A driving factor behind the beer was to find a local or native ingredient that would be fun and interesting to add to the beer. In the end, it was Riberries or Lilly Pilly fruits that were chosen for their slight tartness and notes of cinnamon and clove. Kiwi and Aussie hops were added to the mix with the name coming from the Italian name for a cuban cigar.